The Open Door Classroom: Super Sunday Sale... and a Challenge! 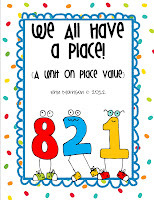 The big sale on TpT is almost here! It's time to discover new products, empty those wishlists, and save yourself boatloads of time with all of the amazing resources available. 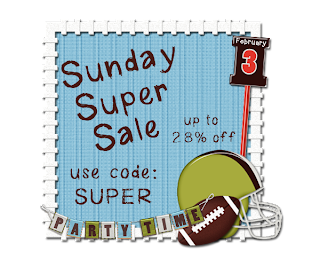 I'm excited to share that I will be offering 20% off all items in my store on Sunday. You can also use the coupon code SUPER to receive an additional 10% off! 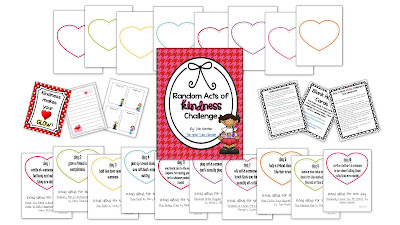 Today, we started the Random Acts of Kindness Challenge in our classroom! It was so fun! We kicked it off by talking about what R.A.K.s are and how it makes you feel when someone does something unexpected for you. I then read the book Have You Filled a Bucket Today? A Guide to Daily Happiness for Kids by Carol McCloud. If you haven't read this book to your class yet, you NEED to! I then gave them the first daily challenge (of 10). Their challenge for today was to smile at someone in the hallway and ask how they were doing. (We made sure to discuss making eye contact, talking clearly, etc.) Many of the kids tried this challenge during the day and were so excited to tell me about it! It was great to see them feeling so good about themselves for doing a random act of kindness. We are going to continue doing a daily challenge for 10 days, all the way up until Valentine's Day. Some of the different challenges include: holding the door open for someone, sitting with someone at lunch who you normally don't sit with, picking up trash that you see without anyone asking, leaving a little note thanking the custodian at the end of the day, and many more. If you'd like to check out more about this challenge, just click on the image below!